Creativity was abound at Rosebank College during the annual Festival of the Creative Spirit. 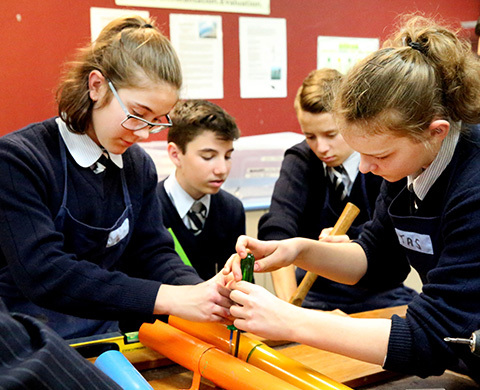 Students from Year 7 – Year 10 were involved in the interdisciplinary, and innovative program, which provided them the opportunity to develop their passions by stepping beyond the four walls of the classroom through designing rich academic projects. Festival organiser and the College’s Coordinator of Innovation and Learning, Mr Jake Plaskett, said “every student was enabled to explore and experiment with critical and creative thinking, problem-solving, communication and aesthetic awareness through the creation of authentic projects and experiences”. Students selected from 28 unique, interdisciplinary projects ranging from Sculptures by the Bay, Game of Thrones, Feeding the Hungry to GPSpionage and Room Escape. The week culminated with an exhibition of the student’s projects.